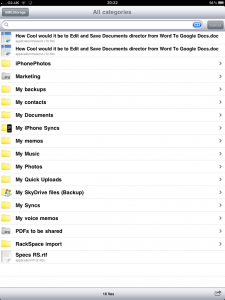 A user Steve shared with us that he uses the iSMEStorage iPad App to share files with his android device. 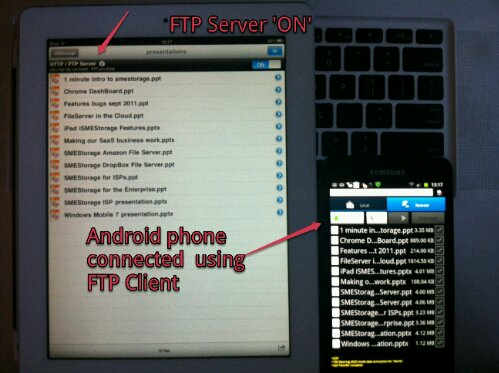 He turns on the iSMEStorage FTP Server and then connects using FTP Cafe from the Android (same Wi Fi network a pre-requisite). We tried it, and it works great. Given the propensity for so many different use cases that using the Cloud with Files can come up with we thought we’d start sharing some of the day-to-day use cases we deal with here on our blog. 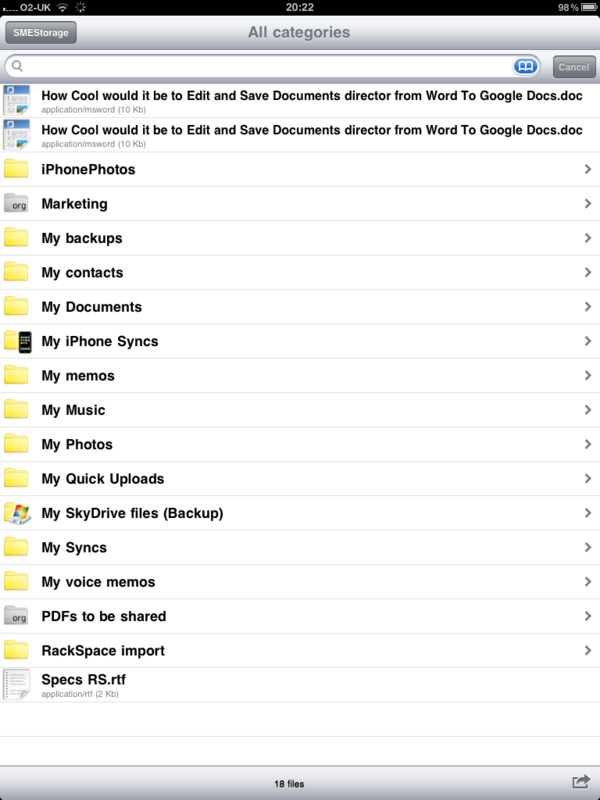 This one is an inbound request in which a business has a series of PDF’s stored in a folder hierarchy on SkyDrive that they need to share with a distributed team that uses a combination of Galaxy Tab and iPad’s. The files need to be synchronised for offline use and the files can be updated each evening so the remote people need to be able to resync the files locally to get the latest versions for offline use. Firstly lets address SlyDrive. In this event all the business needs to is to start using our Cloud File Server and add the SkyDrive Cloud to their account from the Cloud DashBoard. 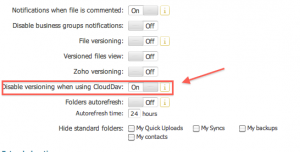 This starts a wizard in which the user is stepped through adding the SkyDrive Cloud. Once this is done the Business Admin of the Cloud File Server needs to convert the folder containing the PDF’s into a shared Organization Folder. This means that any users that are added to the Cloud File Server will be able to see this folder. The Business Cloud Admin can now choose to set the types of permissions that they wish to set on the folder (read only, etc). 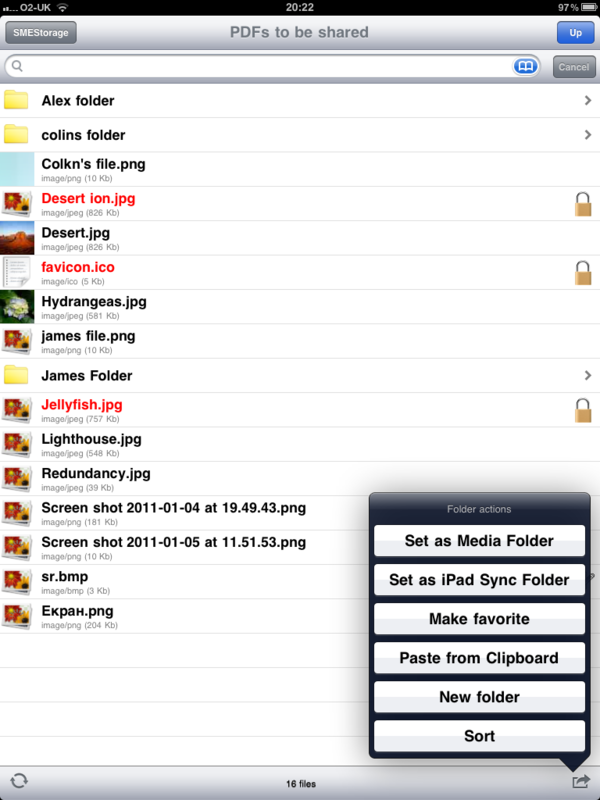 Each of the users that the Cloud File Server Admin added to the Cloud File Server can access their account using the iSMEStorage iPad App. once logged in they will be able to view files on the Cloud in a unique Cloud Files view. However as per the business requirements we need to be able to sync the folder that was shared containing PDF’s down to the device. 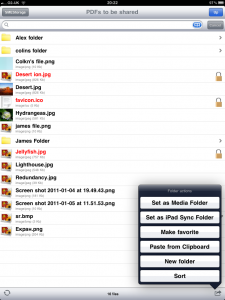 To do this the user needs to visit that particular folder in the Cloud File Manager and nominate the folder for local sync. 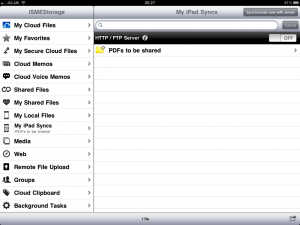 Once this is done the user can go to ‘My Syncs’ from the menu and action a sync which will download all the PDF’s locally. 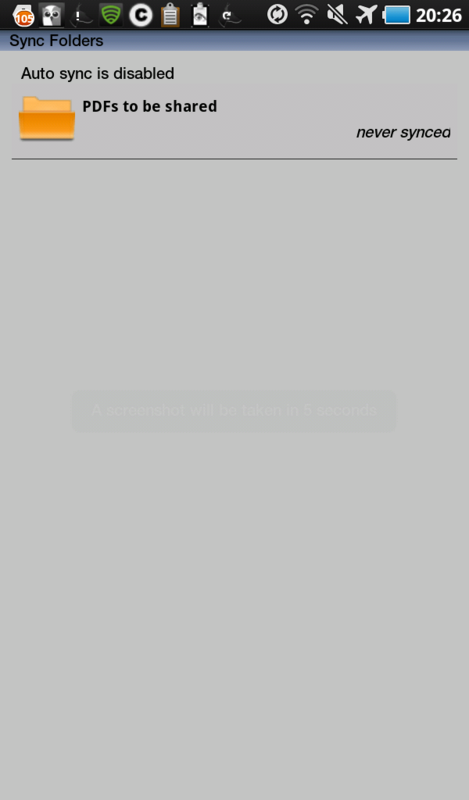 In future as the documents are updated overnight he just needs to visit My Syncs again and choose to resync which will download the newest files. 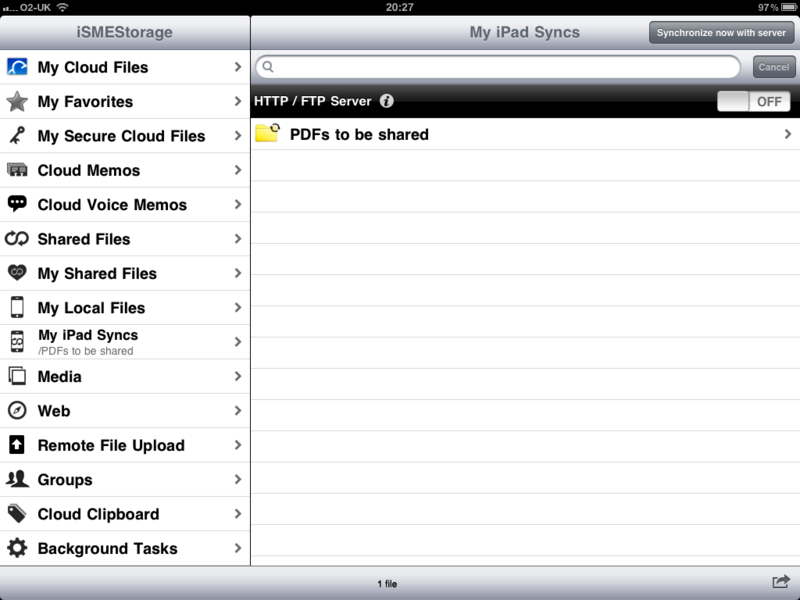 As with the iPad the user needs to visit the PDF directory from the Cloud Files view and nominate the PDF folder for Sync in the SMEStorage Android App. 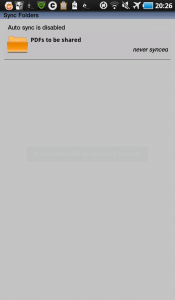 Once this is done the user can return to My syncs, click on the directory and choose to sync. This will download the relevant PDF’s to the iPad. Again a sync can be done each day to update the latest files. As there is less restriction on Android devices users can set the App to do a scheduled sync daily. Unfortunately this is not currently possible on the iPad.